But whatever your viewpoint, one of the reasons will almost certainly be that you love the way a traditionally jointed frame looks. The thrill may be having the ingeniously linked timbers all on show (as well as keeping the roof up over your head), or you may just like to reach out & touch the wood for its own sake. 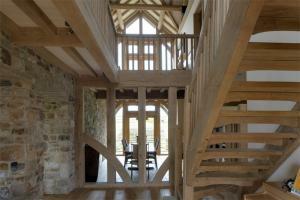 A traditional timber frame definitely has ‘Wow Factor’. 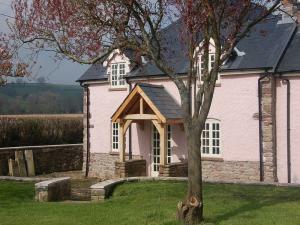 At Crossframes we take a pride in building very high quality frames, in oak but also in other timbers. Frames for buildings full of character, built using traditional carpentry, mortices & tenons and pegged joints. 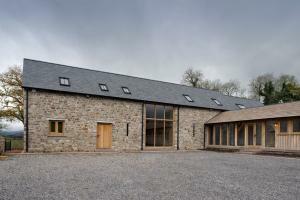 Employ some craftsmanship on your barn conversion. 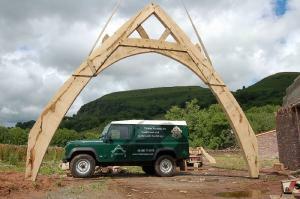 If you are after a simple A-frame roof truss or a full 'cruck-framed' structure, Crossframes would love to help. 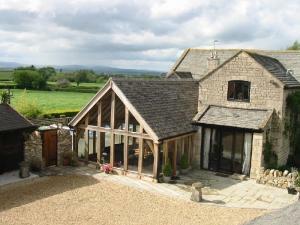 A cross between a conservatory and an extension. A year-round space full of light & warmth. 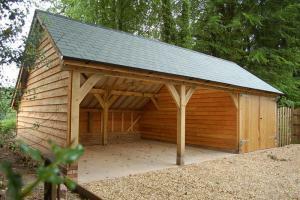 Handmade workshop, outbuilding or place for the car that shows off peg-jointed post & beam construction and curved braces, so adding beauty to your home. Porches and Balconies that employ the durability of oak heartwood and withstand weathering, looking better & better with time. What are all those half-lap dovetails, scarf-joints, hips & purlins all about?